We tend to think that our actions are so small that they don’t matter. But just imagine that each and everyone would think that even the smallest action matter. We would make a huge difference together. 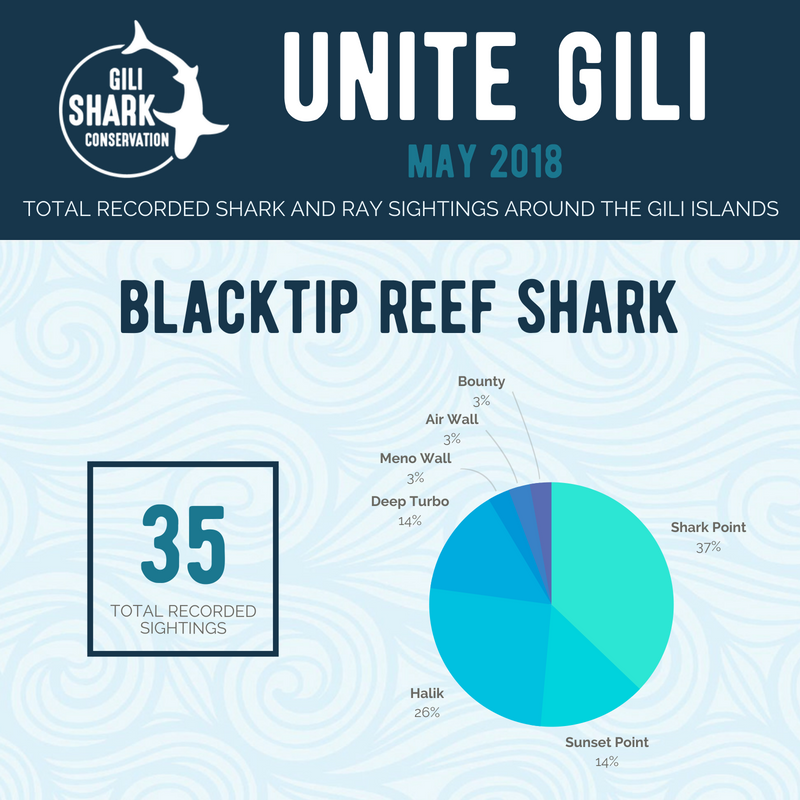 During our data collection we have discovered that within the Marine Protected Area territory we consistently find juvenile white tip reef sharks, in fact the majority of the sharks found within the area are juveniles who stay here until they are big enough to venture outside their caves/rocks/overhangs. More interestingly, when we do see adult sharks they are mostly all female and pregnant. These factors give us a solid theory that the area is in fact a shark nursery area and therefore a critical zone within a shark’s life cycle. A dream doesn’t become reality through magic;it takes sweat, determination and hard work. Our dream is to be able to prove to the government that this is a shark nursery area and gain official recognition meaning better protection for our sharks and for the overall area. But for us to build this case we need data and lots of it! That’s where Unite Gili Air comes in. 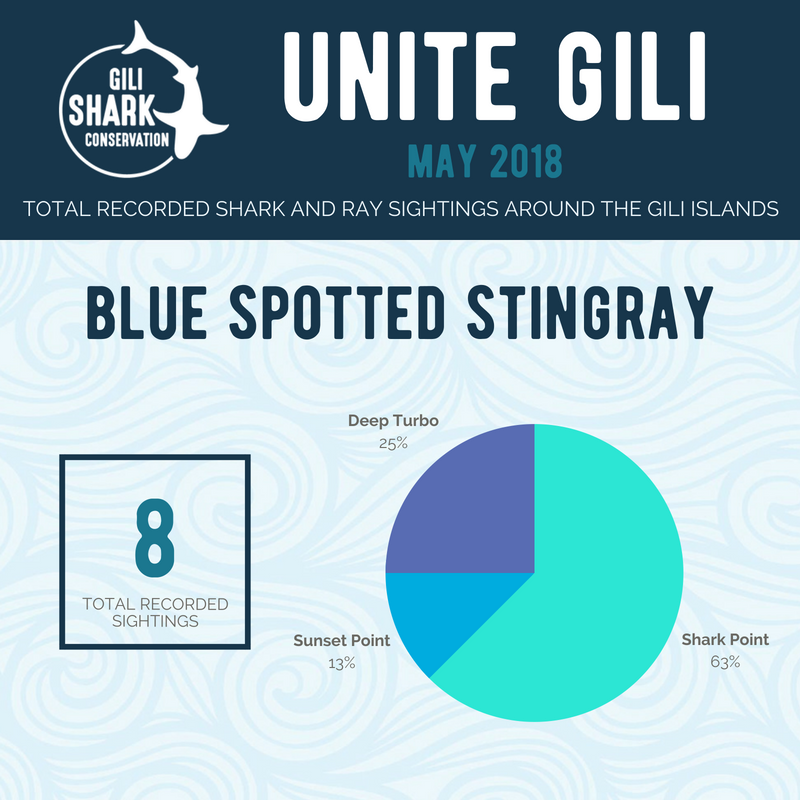 Unite Gili Air is designed to bring the all the dive shops on Gili Air together to create one comprehensive shark and ray abundance sightings data log. We ask all guides and instructors to write down information like size and gender of the sharks and rays they’ve seen during their dives. This standardized data collection method is being used throughout the three Gili Islands; Gili Trawangan, Gili Meno, and Gili Air. 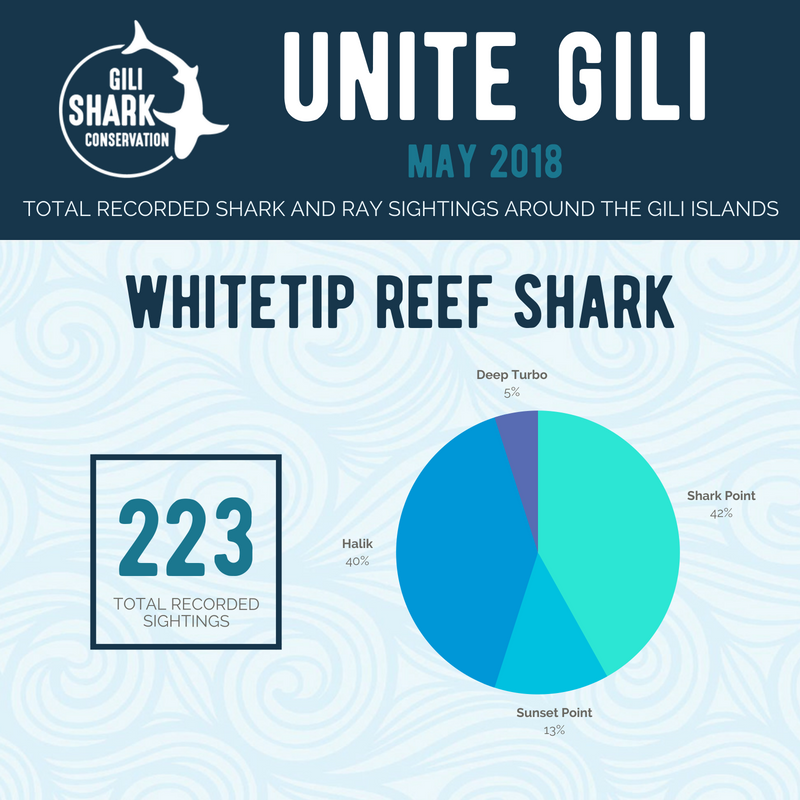 Every Friday our Research Team goes around the island and collects the data sheets and week submits it into multiple partnering citizen science projects including Gili Eco Trust, SharkBase, eOceans, and Shark Guardian. Do you work for a dive center on the Gili Islands, Lombok or Bali and would you like to contribute to our research? Send a message to sharks@gilisharkconservation.com.